One of the world’s biggest cities is running out of water. Sao Paulo, a city of 20 million people, could run dry within weeks. The humanitarian and economic cost would be immense. The fiasco should be a global wake-up call for other metropolises. The immediate cause of the crisis is a year-long drought. The Cantareira reservoir system that supplies around a third of the city’s population is so low that Sabesp, the local utility, has to dip into and treat sediment-heavy supplies and pipe water in from other sources. It’s the worst dry spell in the region since record-keeping began more than 80 years ago. Other parts of Sao Paulo state and Brazil have been hit, too, though not as harshly. It may look like an aberration, but the planning for the disaster has been poor – and offers important lessons. Sabesp has not introduced any rationing – at least not formally. It has slashed reservoir extraction by a third, cut pump pressure at night and offered discounts to frugal customers. But, regrettably, the “R” word remains taboo. The government, meanwhile, shied away from suggesting mandatory rationing during last month’s presidential elections. That turned the shortage into a political battleground, which is no way to solve a crisis. Longer-term planning has fallen short, too. Some of the infrastructure is creaky. Leakage rates are between 30 percent and 40 percent. Compare that with Tokyo, which has shrunk losses to around 3 percent. Meanwhile, Sao Paulo’s rapid growth has robbed much of its water sources of forest cover and exposed them to sedimentation and pollution. Restoring natural buffers on less than 2000 hectares would reduce sediment in water supplies by 10 percent, according to the Nature Conservancy. Worse, the drought may not be temporary. Some scientists link it to the destruction of the Amazon rain forest thousands of miles away. That would call for more investment in alternative sources – from desalination to water from other river basins. Those can be expensive and spark acrimony. But hoping for rain isn’t a strategy. Chronic shortages would bring social unrest and undermine the city that is responsible for more than a fifth of the country’s GDP and is the capital of a region that accounts for 40 percent of Brazil’s industrial production. An acute crisis could lead to riots, a mass exodus or worse. 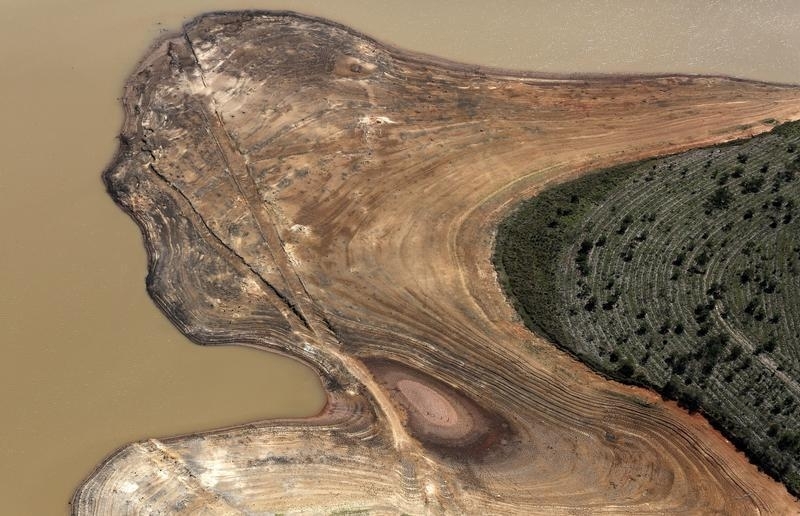 Sao Paulo, Brazil’s biggest city, may soon run out of water. The metropolis of 20 million people is suffering its worst dry spell in at least 80 years. Utility Sabesp estimates there is enough water to last until March 2015 if no more rain falls. The Alto Tiete system, which serves a further 4.5 million inhabitants, is at 6.4 percent capacity.